Awhile back, Snapchat unleashed the 'infinite' Snap view on us all - that being, you no longer have to place time restrictions on your content. Because some Snaps need to be unleashed in the wild and not restricted by time. 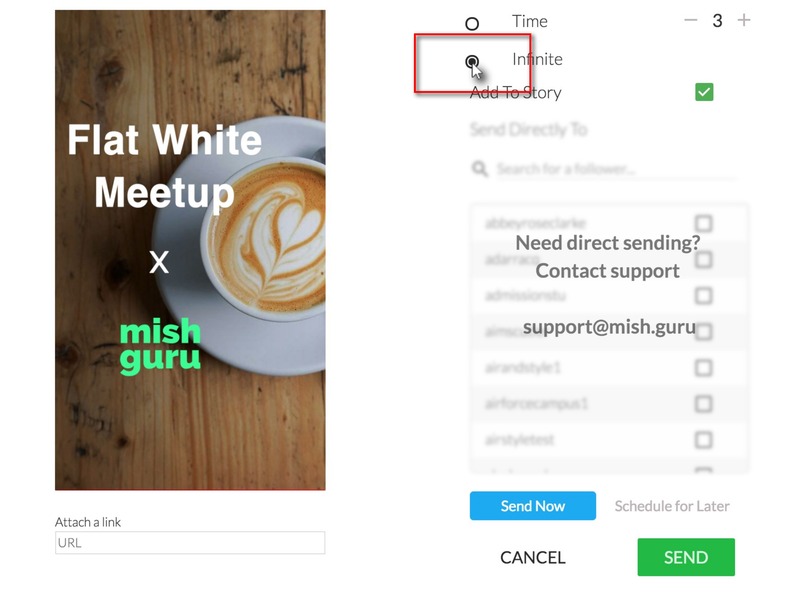 Your Mish Guru dashboard now supports this feature for both stills and video. This will remove the time limit for how long your Snaps will appear when someone is viewing your Story—stills will remain and videos will loop until they are tapped past. To enable this setting, simply select a Snap to send as you normally would, and the time setting will be at the top of the send options. For stills, you will select 'Infinite' instead of choosing a time between 1 and 10 seconds. For videos, you will select 'Loop Video'. Then select either 'Send Now' or 'Schedule for Later' as usual. If you're asking yourself, "Now, why the heck would I need a Snap to be infinite? ", we've got some ideas! One good use of infinite Snaps is for any text-heavy or otherwise super detailed content that might take a little more than 10 seconds to fully digest—think festival lineups, maps, or contest instructions. Infinite Snaps also pair perfectly with swipe-up links! This gives folks plenty of time to absorb the content of the Snap and the CTA to swipe up to your website, more product info, a long-form article, etc.—a super simple way to pack a big punch in only 1080x1920 pixels! 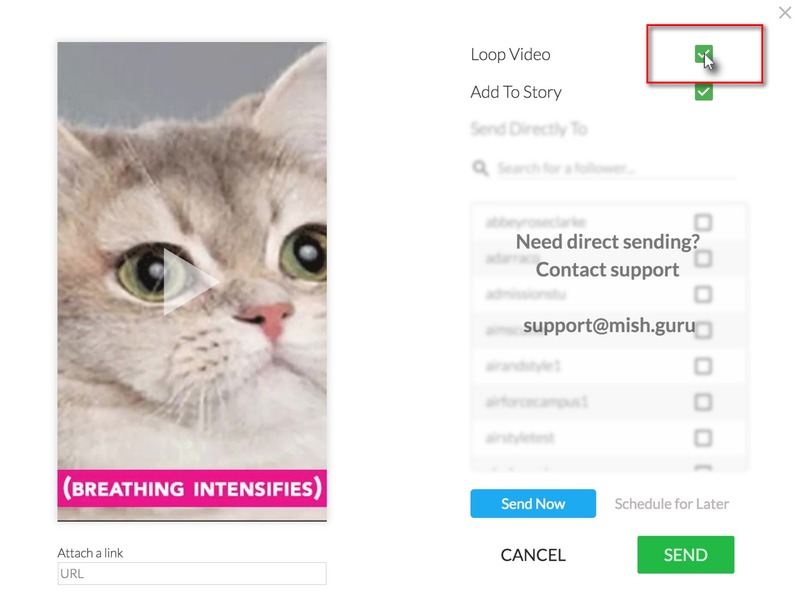 Check out this article to find out how to attach links to your Snaps, and get some hot tips for making the most of your linkage here. Now go forth and Snap! Your followers are sure to be infinitely* impressed.